Ace Combat is good again. After the disaster that was the free-to-play Ace Combat Infinity and the Call of Duty-ish cash-grab known as Assault Horizon, it’s extremely satisfying to see Project Aces return to what made their series so amazing in the first place by refocusing on the fantasy realm they created and filling it with larger-than-life dogfights. 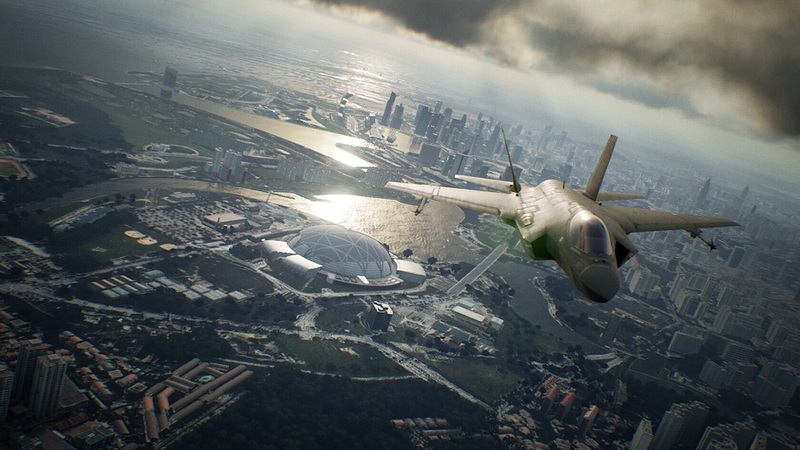 Ace Combat 7: Skies Unknown is the best AC in years, and easily the strongest release since Zero over a decade ago. Skies Unknown plays much like its earlier predecessors with a linear 20-mission campaign that quickly drops the player into massive scrambles for survival. 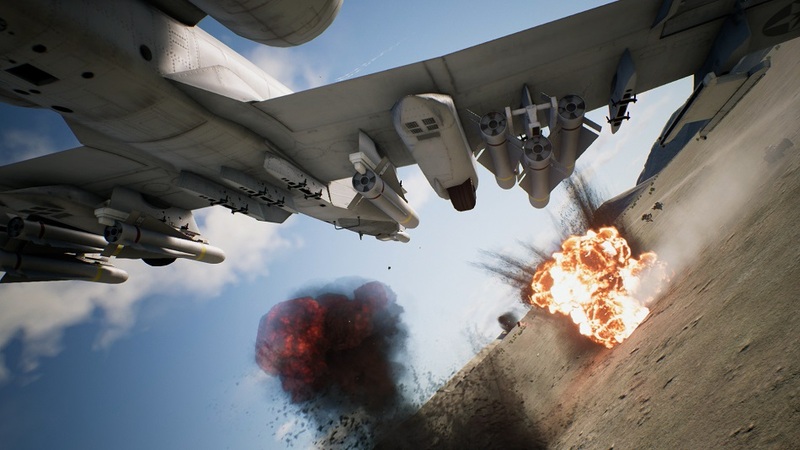 The action is often hectic with threats coming in from all sides, but if the view from the cockpit is too cluttered, it can be changed to an over-the-shoulder third-person camera or a straight first-person HUD overlay without any details blocking the action. Most missions involve taking out specific groups of targets, such a flight of bombers or a cluster of AA guns. Some, however, are (essentially) arcade-style score attacks where the goal is to cause as much havoc as possible in a 15-20 minute time limit. The more destruction and the faster the mission completion time, the higher the cash reward. This can, in turn, be used to buy better planes and parts to enhance their performance. Narratively, Ace Combat 7 returns to its “Strangereal” universe — a parallel Earth where a devastating meteor impact upended political and economic balance while keeping society and its infrastructure more or less intact. The Strangereal world is a hybrid of modern day technology and sci-fi fantasy, where an F-22 Raptor can fly alongside a laser shooting, airbound super-carrier without a second thought. Each character speaks with over-the-top melodrama and more than a little Metal Gear-flavored cheese, and I love every bit of it. However, the way AC comes back to Strangereal presents a major problem for anyone new to the series since the plot will be nonsense to all but the most devoted fans. Callouts like Stonehenge, Erusea, President Harlin, and Belka mean absolutely nothing without knowledge of history and events dating all the way back to the mid-‘90s. There’s no glossary to look things up in, no compressed timeline to browse, no quick recap to get new players up to speed… there’s absolutely nothing in-game to explain what’s going on. Further complicating the story is that much of it is conveyed through in-game chatter between pilots speaking during missions. It’s easy to miss out on what’s going on whilst trying to line up the perfect shot and dodging incoming fire at the same time. The storytelling also feels jumbled and the voice acting is laughably bad in many places, encouraging players who are already confused to just skip it. I love the anime-esque drama that Ace Combat has delivered over the years, but the quality of the storytelling here needs much work. In terms of mechanics, don’t expect sim-style flying, this is more Afterburner than Microsoft Flight Simulator. As such, newcomers should fight the urge to use the “normal” control scheme and stick with “expert” if they can. The main difference is that the left stick in normal mode moves the plane left or right, whereas in expert it causes it to roll. That doesn’t sound like much, but rolling in combination with controlling yaw and pitch allows for a greater and more complex moveset, which in turn leads to being able to engage targets more efficiently. Expert allows for a much tighter control experience, but the game can be done in normal, albeit it feeling a touch sluggish to me. 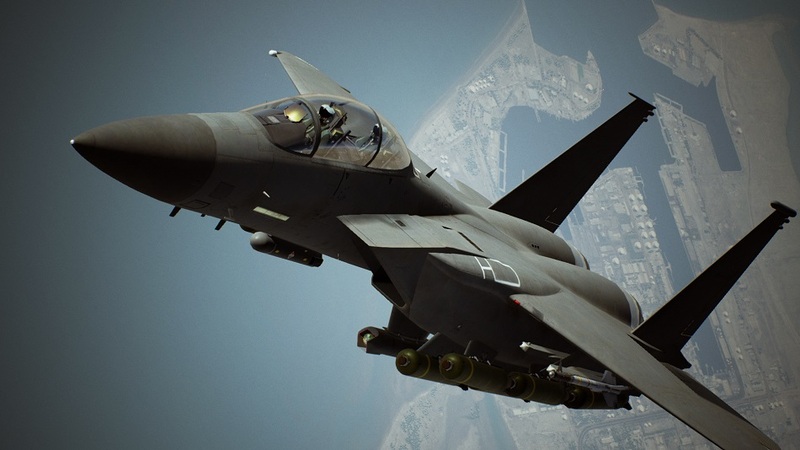 Otherwise, Ace Combat has played around with ‘enriching’ the experience over the last few iterations, including things like squad commands and quicktime events. Most of these have never worked, and all of the gimmicks have now been stripped away in AC7. What’s left is the sublime core of what the series is supposed to be — an arcadey, lighting-quick series of duels between jet fighters armed with a ludicrous number of missiles set atop gorgeous backdrops. That’s not to say nothing was added, however. One new change (for the better) is how clouds will interact with gameplay. Previously, clouds were an afterthought, primarily there for show. In Skies Unknown they add a bit of tactical variety. Not only do they obscure visibility and make dogfighting in mountainous environments tricky, but being in one for too long will start to ice the engines and result in what could be a deadly stall. Similarly, thunderstorms will interfere with missile tracking and an unlucky lightning strike will distort the HUD, making it nearly impossible to tell which way is up in the opaque, grey soup. The 20 campaign scenarios are decently varied, offering everything from raiding naval fleets to hunting convoys in a sandstorm, to tackling massive flying superweapons. Of particular note are the missions dealing with the Arsenal Birds – the gigantic flying drone platforms bristling with weapons that have to be dealt with several times throughout the game. 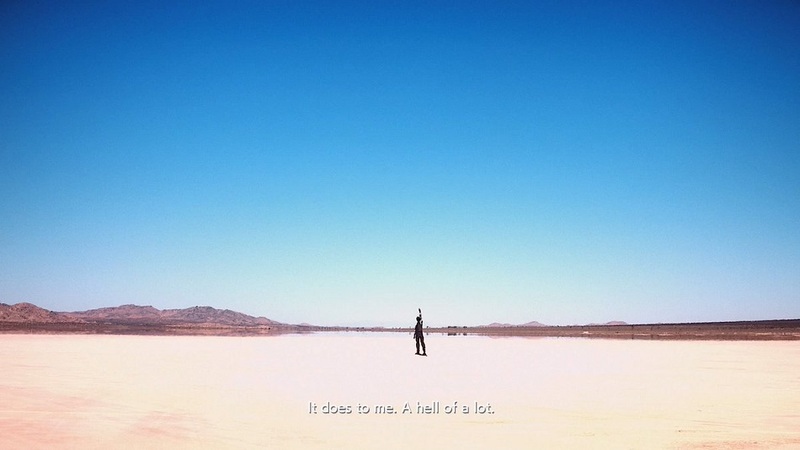 The sheer number of drones they spit out makes the vast sky feel crowded in a way I’ve never seen in the series and should be replicated in future titles. Included in the PlayStation 4 version of Skies Unknown is a three-mission mini-campaign designed for VR. These levels aren’t nearly as complex as anything in the main campaign, but seeing Ace Combat this way is one of the best experiences I’ve had with PSVR, and I wish there was more to it than just this little taste. Disclosures: This game is developed by Project Aces and published by Bandai Namco Entertainment. It is currently available on PS4 and XBO with a PC version coming February 1st. This copy of the game was obtained via publisher and reviewed on the PS4. Approximately 12 hours of play were devoted to the single-player mode, and the game was completed. Parents: According to the ESRB, this game is rated T and contains Princesses, Language, Death Star Trench Runs, Mild Blood, A Photoshopped Good Boy, and Violence. This one is on the tamer side of T. People die in non-graphic scenes and there are a few mild descriptions of atrocities but despite being described as a rather nasty war, the gory details are held back. Deaf & Hard of Hearing Gamers: There are subtitles throughout the game, however there are a few moments where chatter comes in fast and frantic and the subtitles don’t catch every bit of it. This usually happens when there are many people speaking over one another in a panic while fighting. The size, font, and color can not be changed. Remappable Controls: The controls are not remappable. 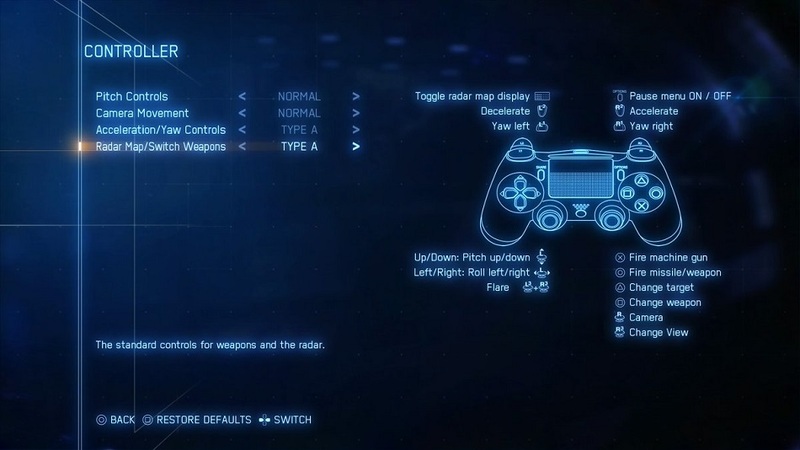 It comes with options to invert the sticks as well as a Type A / Type B control choice that swaps the location of two buttons.